I enjoy instructing immensely. ;Not only do I get a great deal of job satisfaction and pride from seeing people progress from not being able move a car, to becoming confident and pass their test, but also knowing that I am an ambassador for road safety. I have a confident and professional approach to my lessons, but always try to keep a jovial environment to ensure that my pupils enjoy themselves to aid their learning process. When I'm not instructing I enjoy cycling, usually covering 100 - 200 miles per week if the weather permits, and I also watch quite a bit of football. "Had Kevin as my instructor for test prep in the Chertsey area. He put me at ease immediately and improved my driving considerably in a short time and I passed with just one minor, forgetting where the demister button was, all my fault! I would recommend Kevin wholeheartedly. Elite where also very accommodating, finding me an excellent instructor at short notice." "Today I passed my driving test first time with 0 faults!! Could not thank Kevin Mantle enough. After being with a previous driving school last year, Kevin really helped me to regain my confidence behind the wheel, and got me to the stage of being able to pass first time with 0 faults in just under 4 months!! I really do recommend driving with Elite, especially Kevin, he was extremely patient with me." "I went from never having driven a car to passing my driving test first time today thanks to my patient and encouraging instructor, Kevin. I would definitely recommend Elite Driving School; worth the money, lessons are fun and you are able to learn at your own pace. Thank you!" "I passed today at Chertsey, under the instruction of Kevin Mantle. I was thrilled to pass at my first attempt, with no minors, due to the fantastic instruction I received from Kevin. He has great patience, knowledge and enthusiasm, and I thoroughly enjoyed my lessons with him. I would definitely recommend Kevin to anyone wanting to learn to drive." "Passed my test on the 12th January, and could not have done it without the work and patience of Kevin. Fantastic instructor and really nice guy. Passed first time after around 25 lessons." 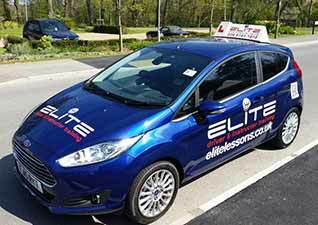 "I'm extremely happy to say I just passed with the great help of my instructor Kevin, I really do recommend using Elite Driving School but I would also recommend booking two hour lessons as I found it gives you the right amount of time to take everything in. Once again thanks very much Kevin - Adam." "I had Kevin as a teacher in Weybridge. Kevin was always prompt and on time to my lessons, (even if I was not). Whilst on the road, he was always calm and constructive, whilst also being patient with me. The proof is in the pudding and he helped me pass first time so I would recommend him to anyone." "Passed my driving test yesterday all thanks to Kevin. Very patient instructor and pays attention to detail to ensure the best results. Would definitely recommend to a friend." "I would like to say a big thank you to my instructor Kevin Mantle. I had changed a couple instructors before using Kevin, I found that he was the most informative out of all the ones I used previously, I passed the driving test in one go thanks to Kevin." 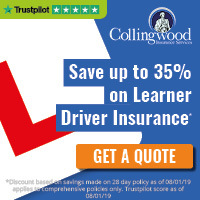 "Started having lessons in Feb with Kevin.. Began fairly dreadfully and expected never to pass, but within 6 months, Kevin managed to teach me how to drive safely and confidently while remaining calm. Kevin is a great knowledgeable instructor who really knows his stuff. Managed to pass first time with only two minors. Will be recommending to people at college. Cheers Kevin :-)." "I managed to pass my test on the first attempt thanks to Kevin. His instructions were very clear and easy to understand. I would definitely recommend to a friend. Thanks Kevin!" I passed my driving test yesterday thanks to my driving instructor Kevin. I had been recommended Kevin by my brother as he had previously passed with his help. Kevin is very calm and patient and has truly helped me with my driving. I would highly recommend Kevin to anyone looking for a good instructor. "Just passed my driving test first time with Kevin. He has been the most brilliant instructor I could have hoped for. He is a credit to elite, and is very patient, calm, and positive, which helped me from being unable to move a car, to being a safe and confident driver. His very clear style of teaching was also very helpful. I would highly recommend him to anyone! Thanks Kevin!" "Just passed my test first time with my instructor Kevin last week! Kevin was always calm and I always felt relaxed while driving. His way of teaching was simple and easy to understand, yet included many helpful tips. This meant that I went from knowing absolutely nothing to being a safe and confident driver. Highly recommend. Thank you Kevin!!" "Kevin has been the most brilliant instructor I could ever hope for. He has been so patient, calm, positive and flexible. When I started I couldn't move a car !!! And now I have passed today and will shortly be driving with my children in toe. !!! He is always on time ! I have been a nightmare to teach. And if he can teach me it can teach anyone !!! He's a credit to the company, and I want to thank him so much for all his help. Best wishes and thanks so much from me and the kids !!! My oldest is so happy mummy can now drive and we owe it all to you !!! Rosemary Taylor." "When I started learning to drive I was nervous and lacked confidence. But thanks to my instructor Kevin I was able to over come those things and pass my test first time! Kevin is a great instructor and very friendly, with a calm and clear style of teaching, which made learning far more easier and enjoyable. I would highly recommend Kevin to anyone! (Even if he is a Man City fan!)" "Thanks to Kevin, I passed today first time with 3 minors. Kevin is a fantastic driving instructor who was very calm and patient with me at all times. He made me feel extremely confident and prepared for my test when it came." "Just want to say a massive thank you to my Elite instructor Kevin Mantle who helped me pass my practical test first time with no faults! He was really relaxed and always took the time to go over things I needed extra help with. Not only did he help me pass my test but he has also set me up to be a safe driver for the future. Would highly recommend him! Thanks again, Kevin!" "Passed through my instructor Kevin and only with one minor. Good value for money and enjoyed it." "I have just passed with Kevin. From the get go he has been amazing. Good patience and explained everything in detail along with pictures if I was still struggling. I felt very comfortable with Kevin and was eased into being a confident driver! Easy to talk to and a great agony aunt. Its been a pleasure driving with him. Easy to arrange appointments with and I was very fortunate to have someone so understanding when I had medical issues and unable to continue for periods of time. Outstanding instructor and is an asset to Elite driving school. Jade." "Kevin Mantle was recommended to me from a friend and I was very happy with the service. He taught me at a pace that was right for me and was happy to go over things as many times as I needed. I always felt comfortable and looked forward to my lessons. Kevin gave great explanations on how to do manoeuvres correctly with tips to get them right every time. He only suggested me booking my test when he felt I was ready which resulted in me passing first time meaning I didn't waist time and money on multiple tests. Would definitely recommend." "I can't recommend Kevin enough, he wasn't my first, but was most certainly the best instructor I have dealt with. I passed my test Second time thanks to Kev's tuition. He was relaxed, informative and let me work through the requirements at my own pace. I never felt pressured when driving and his flexible nature allowed me to fit in driving, around my work Schedule. If you want your Pink License, look no further than the Tuition of Kevin." "Thank you so much to my instructor Kevin who I passed with this morning! A lovely driving school with supportive instructor. Kevin is extremely supportive and a skilled instructor to learning from. Thank you for all the lessons and support!" "Today I passed my driving test with Kevin as my instructor. I cannot recommend him highly enough. He was extraordinarily patient and helpful and I don't think I would've passed this quickly without him. You are a credit to Elite Kevin and I will be sure to recommend to all of my friends! Passing with 2 minors ain't too bad at all!" "Just passed my driving test on the first attempt after great tuition from Kevin at Elite. He was a great instructor, always calm and gave very clear and helpful instructions and ways to improve. He was very easy to get on with, and laid back, something that shouldn't be overlooked. 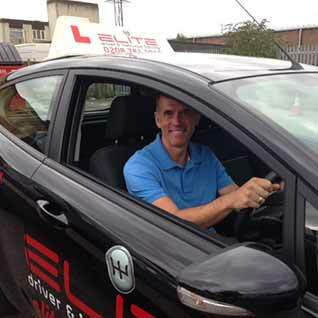 I would definitely recommend Kevin and Elite to anyone looking for driving lessons." "Just passed my practical test for the first time round with Kevin and couldn't ask for a better instructor. Great instructor, very friendly, polite and flexible! Would definitely recommend Elite to anyone I know wishing to learn to drive! Cheers for everything Kevin!" "Shout to Kevin for sticking with me for over a year, finally passed today! always a friendly and chill experience having lessons that fit around me, cheers dude!" "A massive thankyou to Kevin, I have officially passed my driving test! Such a calm and patient instructor, I wouldn't have had it any other way! The lesson deals were very money efficient aswell! Words cannot describe how excited I am for passing my test! Definitely recommending this driving school to people I know! See you for my motorway driving lesson Kevin, and again thank you x." "Elite Driving School - EXCELLENT driving school. Kevin Mantle an amazing instructor very, very patient who help me to became a confident driver. I will recommend with confidence to anyone. Thank you very much for all you're help and hard work." "I would like to say a huge thank you to Kevin Mantle for taking the time to teach me to drive and pass my test 1st time. He was very relaxed and clear when I was unsure and provided encouragement and assistance when I needed it." My instructor was Kevin. He was amazing teacher and extremely patient. He taught me all the valuable skills that I need to be able to succeed in my test and so that I was able to pass first time. He was very reliable and was extremely flexible to pick me up from college and allow me to drive myself home (6 miles away), this was extremely valuable to me as it prepared me for completing this route independently once I had passed my test. " "Thank you to Kevin for helping me pass my test first time! He was polite and friendly and really helped me overcome my fear at the beginning. Genuinely wanting to see me succeed and always there for guidance. He was understanding in the specific issues I had and allowed me to learn at my own comfortable pace. Lessons were convenient as he was able to pick me up and drop me up at work which was a great bonus! Massive thanks for everything, I'll see you on the road!" "Thank you so much to my driving instructor - Kevin Mantle! After failing my first test 2 years ago with another driving school, Kevin helped me get back on track, built my confident in driving, corrected my bad driving habit and helped me to pass the test this time! He has an excellent way of teaching and makes you feel at ease from the beginning." "After two attempted (with other driving instructor) I decided to try Elite Driving School, and I passed my test today! My instructor Kevin is very good. He prepared me very well for the test, I definitely recommend him! It is really good value for money." "I would just like to say a huge thank you to my instructor Kevin. I passed my test today with flying colours. Kevin has been so patient with me and always made me feel relaxed. I started out as a bag of nerves, but with Kevin's excellent teaching skills and patience I am now confident and delighted to have passed my test. I cant recommend Kevin highly enough. I would gladly recommend Elite driving school and especially Kevin to anyone looking to take their lessons. MANY THANKS :). " "Overall, the service provided was great. The instructor was patient and calm throughout and helped me feel at ease. I really can not express my gratitude enough." "I can't recommend Elite and my driver Kevin enough. I passed my test first time thanks to Kevin's tuition. He was relaxed and informative and let me work through at my own speed. I had time pressure to pass within a few months but never felt pressured when driving and his flexible nature allowed me to fit in driving at my convenience." "Just passed my driving test in Ashford Middlesex after lessons with Kevin Mantle! What a great instructor with so much patience and positive tutoring that has seen me through my lessons, theory test and the driving practical! Would highly recommend Elite and Kevin to any learner driver! Thank you!" "My instructor is Kevin, he is excellent, very good, he is very easy to get along with and made you feel relaxed and comfortable when driving. Highly recommended!" "I loved the quality of the lessons and Kevin my instructor was very helpful and informative. Thank you." "I have only had two lessons so far and I have enjoyed every bit of it. My instructor is very easy to get along with and incredibly helpful." "I took lessons with Kevin and I really enjoyed my lessons. I believe I progressed very quickly thanks to him, and felt confident on the day of my test. Kevin was always calm and encouraging, and explained everything well, from a new maneuver to a mistake I'd made. The whole process was very smooth, relaxed and efficient! I would happily recommend Kevin to anyone. Thanks Kevin!." "My instructor was Kevin and he was brilliant! Really patient, clear and encouraging throughout every lesson! I have just passed first time with only one minor, am so happy and I never could have done it without Kevin. I will be recommending him to friends and family. Thank you!" "Elite driving school were brilliant from the start, they got back to me with a driver within 15 minutes. Kevin the instructor was excellent from the start very informative and paitent in a relaxed way was comfortable from the start. Passed my written and practical test first time no problems. Best teacher I ever had thank you kevin will be recommending you to everyone!!! " "Thanks Kevin, passed my test today! Thanks for all your patience, made my lessons enjoyable and gave me confidence." "I was taught by Kevin. He was extremely patient with my driving and helped me greatly with my driving. I managed to pass first time, something I don't think would have been possible without a good driving instructor. I would highly recommend both Elite and Kevin to anybody wanting to learn how to drive." "A massive thank you to Kevin for helping me pass my test! I've always been a bag of nerves when it came to the test day, it was so bad that after 3 fails I gave up thinking I wouldn't be confident enough to pass. 3 years on I decided to give Elite a try. Kevin's patience and reassurance got me there in such a short space of time! Been a great experience and would highly recommend especially to those who need a boost in their confidence! Thank you again!!" "Passed my driving test yesterday and would like to thank my ELITE driving instructor, Kevin, for being supportive and patient. After using ELITE, I feel confident with my driving and will certainly recommend my young brothers! Thank you Kevin and the ELITE team!" "Kevin is a great driving instructor. Much better than the BSM one I had in Putney. He's very patient, encouraging and generally has a good aurora that makes you feel safe with him sitting next to you. It took me ages to figure out how to do roundabouts and all that, I must have drove him mad but he always remained professional and we'd have a bit of banter and joke about life and politics etc." "Sure there may be driving schools that offer lessons that are a couple quid cheaper per hour but honestly I wouldn't waste my time with those. I highly recommend Elite and if you live in Surrey, ask for Kevin!!!" "I now am a happy Full-UK Licence holder, driving a classic 1970 Beetle. A dream come true! THANKS A BUNCH :D"
"Kevin was recommended to me by a friend and straight away I felt very comfortable, confident and was making progress. I have already recommended Kevin to a friend who has since passed and I continue to recommend him." "I would definitely recommend ELITE to any one of my friends! Everything was explained so easily, not just why but also how. No matter how many times I asked the same question, Kevin was always happy to answer! 100% reliable and could always work round my schedule. Learning to drive was pretty daunting but I got to learn everything gradually and was always encouraged to do a little more on my own and slowly build up my own judgement. The car was great to learn in too! Great techniques used when teaching the manoeuvres and were tailored so I could use them in a way that made sense to me every time! When taking the test I was nervous but Kevin made sure I knew how to calm myself down and make sure I was doing everything the way I should be and knew how to. First time pass no problem! I highly recommend ELITE to anyone who wants to learn to drive properly! Thank you Kevin and ELITE! " "Dear Kevin, I would like to say thank you so much for being a fantastic instructor and believing in me and giving me the confidence to take my test. Today! Yes, We did it! My whole experience with Elite Driving School was wonderful from the moment I called them to book my first beginner lesson. My instructor Kevin was very informative and supportive throughout, offering encouragement to achieve the desired result and providing helpful tips. Although I was seriously lacking in confidence especially when it came to roundabouts, Kevin very rapidly built it up through very patient methodical instruction. A great teacher always fills you with confidence in yourself as well as the ability of what you can do and this is exactly what happened! I am pleased to recommend both Elite Driving School and in particular Kevin." "Kevin was brillant and help me through a lot I've just passed and im so so happy thank you kevin !!"